← Minimum Wifi! where it all starts. Six weeks from now, after a few week in the UK I’m due to fly in to Bangkok via Delhi with the recent spate of violence Bangkok city is encountering I am now having to rethink some of the initial steps I had planned. 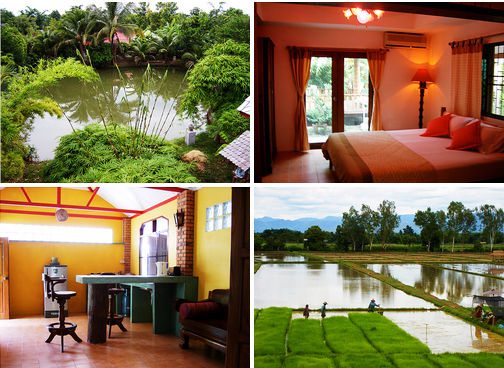 The Idea was to arrive in BKK and stay a while possibly a week or so then head up north to an area outside off Chiang Mai where I have found what looks like to be a sweet deal the kind of place where I can rest up and start working on my websites without the normal distractions one encounters! the above bungalow runs around $185 – $215 a month… I will be posting more info links etc about this place at a later date..
For now the Bungalow is looking more and more attractive as it is a way outside of Chiang Mai and more likely than not far from any unrest, a quick check on Google Maps and I can see the Bangkok Hotel I have booked for two nights is not too close to where the protesters are setup, at about four miles away and another six weeks for things to right themselves I’m not feeling much pressure yet.. two weeks in Bangkok makes no sense today with the present state of affairs, a couple of nights though looks like it will not be a problem… here’s hoping to a quick peaceful solution for all those in Bangkok. This entry was posted in Before Leaving and tagged Bangkok, Bungalows, Chiang Mai, Hotels. Bookmark the permalink.